WTCS is excited to be able to offer a unique program to allow International students from around the world to join with our school family, and experience a Midwestern America educational environment. If you are an international student and are interested in applying for the program, please fill out the application form and return it to the WTCS office. 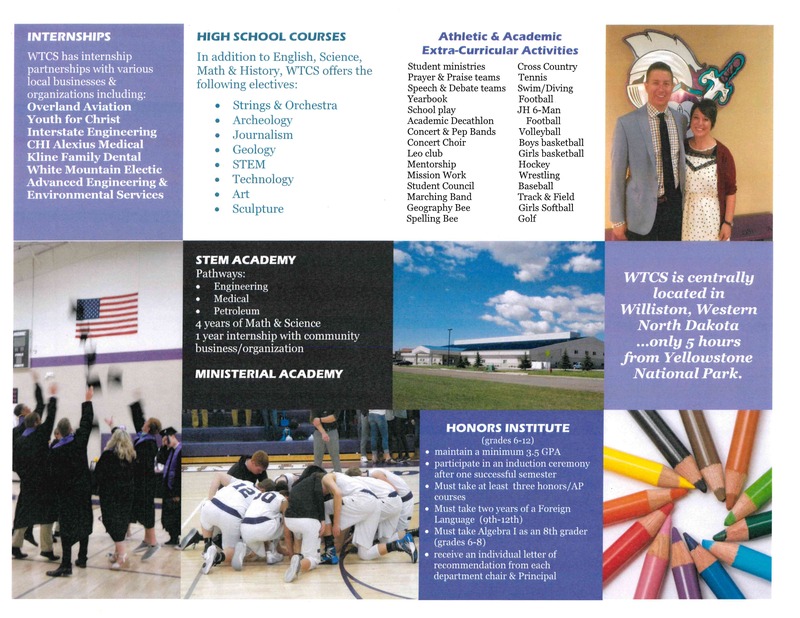 A year tuition at WTCS costs $28,000. This includes room/board, curriculum fees, school lunches, and clubs/activities fees. What is not included? Air fare, any additional ESL tutoring, spending money, VISA, and insurance. May 1st is the application deadline for international students entering grades 9-12. The school year begins in August. The applicant is responsible for ensuring that all steps in the admissions process are completed. Your application will be considered for admission only after all required documentation and application fee. Complete Application for Admissions including a non-refundable $150 application fee, copy of passport ID page, and a student photo. Credit card processing is available at our website. Required Supplemental Forms – The following additional forms are necessary to complete your application. Please complete all required forms and submit to appropriate recipients for completion. Official Transcript of your courses, credits, and grades from the past three (3) years of school. Testing for English Placement (Must be sent directly from testing agency.) A minimum of 645 for the TOEFL, Jr.; 60 for the TOEFL. After receiving the complete application and all supplemental materials, the International Student Coordinator will contact the applicant by email or telephone to set up a mutually convenient time for the Skype interview. This interview will take approximately 20-30 minutes. To set up SKYPE, visit www.skype.com. Following the interview, applications will be reviewed. Parents and student will be notified regarding acceptance within one week of the interview. 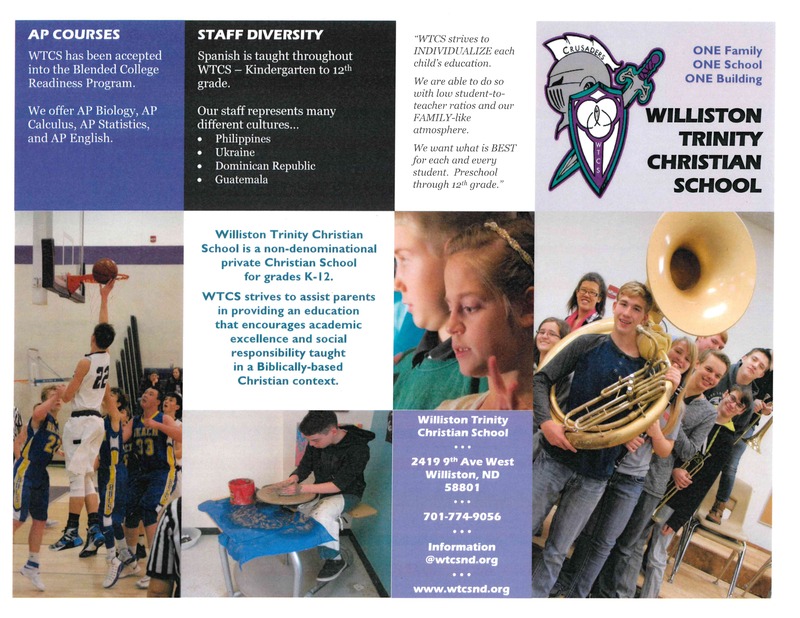 Each student stays with a host family while enrolled at WTCS. All host families provide a personal room, food, and transportation to their new son or daughter. Treating each student as their own child, our families help students with homework, bring them to sporting events, and encourage them to get involved and spend time with friends. 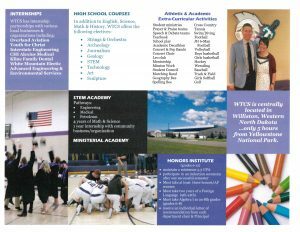 If you would be interested in being a host family, please contact the school for a host family application packet, or you can download the packet below.